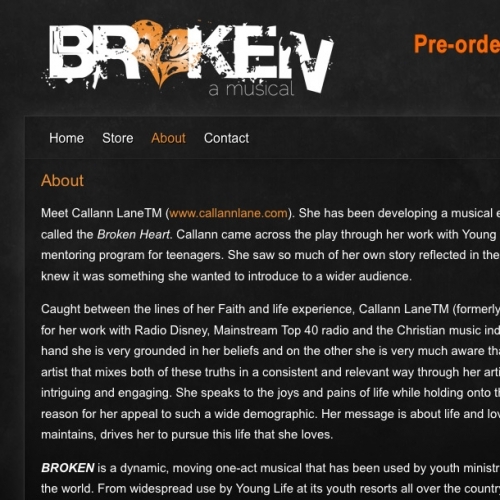 Broken is a musical adapted by the Christian pop artist Callann Lane which was broadcast on the TBN network in mid-2011. 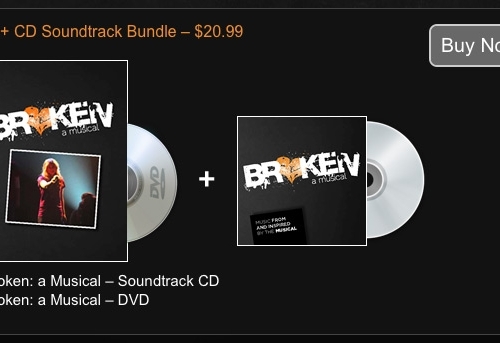 Broken came to us with just a logo, and wanted a polished, slick looking site that would help sell the DVD and soundtrack CD of the musical. 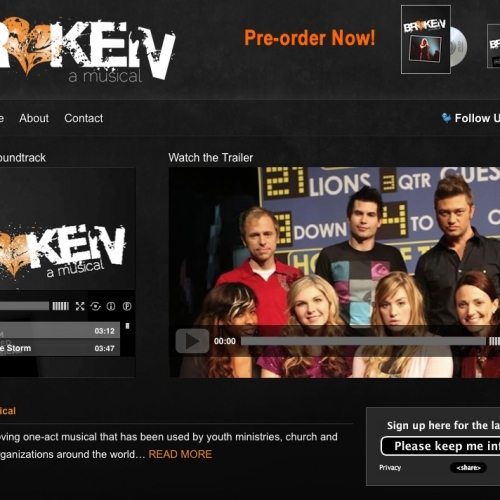 We created a Genesis Framework child theme based on Amped, customized to match the Broken logo’s color scheme.